There are other essential Pug supplies but the above list represent your basic grooming supplies. Make sure you sign up for your Free Dog Grooming Mini Course! One of the best supplies that you can have could actually save your little friend's life.... A First Aid Kit is one of the most important Dog Grooming Supplies you can have. 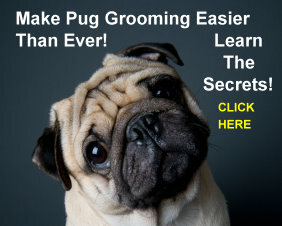 Finally, You Can Now Groom your Pug on your own at home without having to hire an expensive groomer!